You can play at any available table when you’re just playing for fun, but it’s a different story when you have bills to pay, and are counting on poker income to keep a roof over your head. Proper game selection can drastically increase your win rate and could mean the difference between eating steak and eating ramen noodles. Here’s what you need to know about choosing your game. It’s easy to choose good cash games because online poker rooms give you all the information you need in the lobby. Every room has vital statistics listed next to it including the percentage of players that see the flop and the average pot size. These statistics will give you an idea of how the table plays. There are two schools of thought regarding which tables are the best. The first says that you should choose the table with the most players seeing the flop and the highest average pot. It’s a logical thing to do since large pots mean there’s more money to be won. However it can also mean there are a lot of loose-aggressive players in the game that are raising and re-raising with marginal hands. Games like these tend to be high variance. The second school of thought says you should look for tables with a lot of player seeing the flop, but with a small average pot size. Tables like these tend to be filled with weak/tight players. The benefit is that you can steal lots of pots with aggression since weak/tight players won’t play without a decent hand. The downside, of course, is that there’s less money to be won. These games don’t provide as much income as loose-aggressive games, but the variance is much, much lower. There’s nothing wrong with either of the above methods of game selection, but I prefer bum hunting as an overall table selection strategy. All poker rooms have their share of regular players who are terrible beyond reason. These players lose thousands upon thousands of dollars and they just keep playing. Whenever you find one of these players, put them on your buddy list and start taking notes on how they play. Every time you log-in, check your buddy list for these players and sit down at any table with two or more of them. Do your best to get involved in pots with these players. Isolate them with your marginal hands and clean them out when you hit. Remember that you can play weaker hands against these players since you’ll still be ahead of their range. A good bum list is worth its weight in gold. 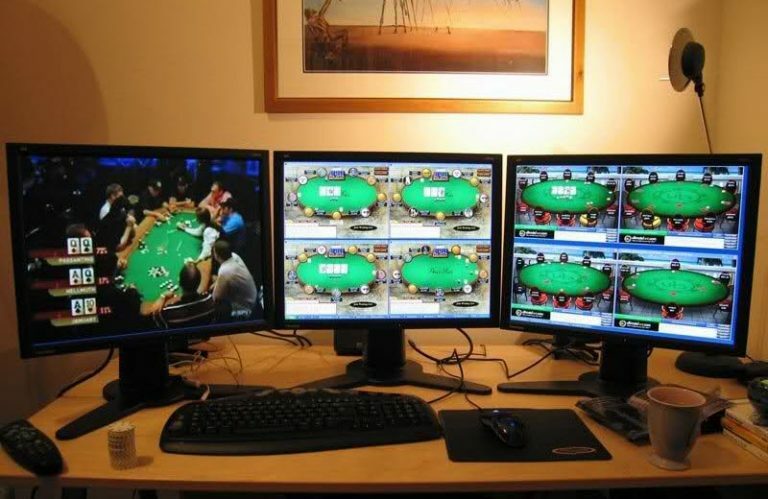 We’re going to skip multi-table tournaments because you can’t really game select for them, except to put some time into research and find an online poker room with a reputation for easy poker games. Sit ‘N Goes, however, are a different story. It can be hard to game select for Sit ‘N Goes because they can fill up quickly, but there are steps you can take to increase your win rate. Cash games are about finding the fish, but Sit ‘N Goes are about avoiding the sharks. Always keep a pencil and paper handy when you play Sit ‘N Goes and write down the screen names of solid players as you come across them. Wait until there are around 6 players registered before signing up for a Sit ‘N Go and make sure that there’s no more than one shark registered before you join. There are some programs that can make this process easier. FT Shortcuts, for example, allows you to keep a shark list in a .txt format. The program watches who registers for tournaments and will only register if the number of sharks at the table is acceptable. By avoiding solid players, you increase your equity in each tournament and your win rate will go up. The only downside is that it becomes difficult to multi-table at higher limits where the tables don’t run as frequently and there are a lot of solid players. * * *Proper game selection takes time. You have to get to know the regulars at your online poker site so you can create solid bum and shark lists, but once you do you’ll have a significant advantage and you’ll notice your weekly income go up drastically.